as what needs to be left out of the suitcase. The Mount Washington Resort – Bretton Woods N.H.
To be fair I should start off by saying we have been to the Mount Wash many times. My husband brought me here for our first Valentine’s Day (romantic right?) and we fell in love with the place instantly, probably even faster than with each other. We were engaged there and married there so it’s a bit of a second home to us. When we started going the hotel was under different ownership; a group of locals who were thankfully trying to save the historic building from the same fate of most of the great inns of the White Mountains: closed. It was beautiful although laced some polish, but it didn’t stop our enjoyment of the hotel and all the area has to offer. The hotel has gone through an ownership and subsequent management change and is now run by the Omni chain. Omni, originally known for upscale hotels in downtown city districts, has ventured into the ‘resort’ market with this and a number of other beautiful hotels (www.omni.com). The new arrangement which begin in early fall 2009 has been a win, win, win for the Mount Washington and for those of us who love the hotel and the White Mountains. *There is a large outdoor pool and a second smaller kidde pool with a graduated entrance perfect for the very little ones! Beyond all the regular fun you’d expect they have dog sledding! My two and a half year old and I just took the 20 minute ride this past weekend and what a thrill. He giggled the whole way and shouted “I want to do it again” when we pulled back into the parking lot! 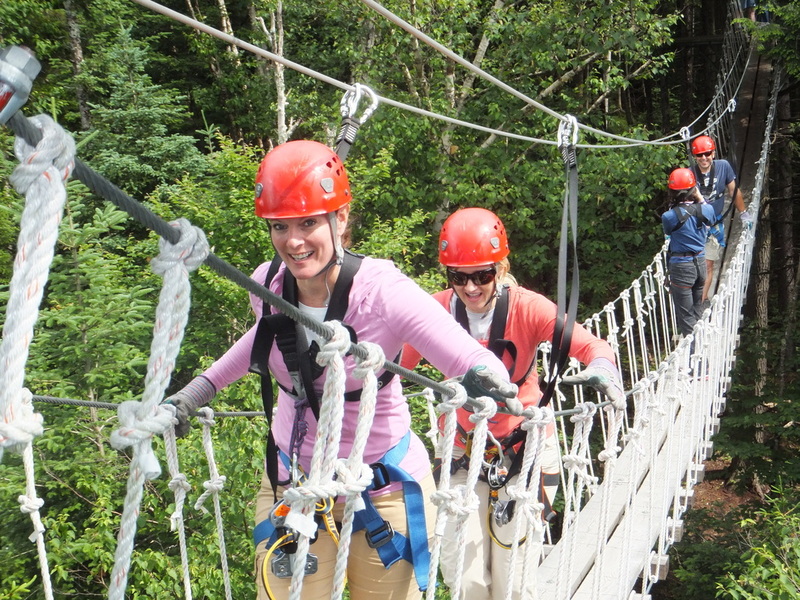 They also have an exciting zip line canopy tour that takes a little over two hours to complete. I’ve done it twice and it’s great. You truly can challenge some fears when you have no choice but to sail high above the ground not to mention repel from the platform of a perfectly good tree! Other fun to-dos include fly fishing and horseback riding in the summer and sleigh rides and tubing in the winter. But the hotel’s greatest attraction for me is the location in the White Mountains on the edge of a national forest. Just imagine enjoying your evening cocktail on the veranda while watching the sun set on the highest peak in New England? There are countless hiking, snow showing and cross country trails directly off the hotel as well as plenty more within some very short drives. There is something great about reaching the top of a hill, although it was much easier before we had to carry the smaller folks on our backs. Not too worry – there are plenty of pretty- less exhausting trails for us to now choose from! A real treat for our son this year was riding to the top of Mount Washington on the Cog Railway – he is still talking about it 7 months later! 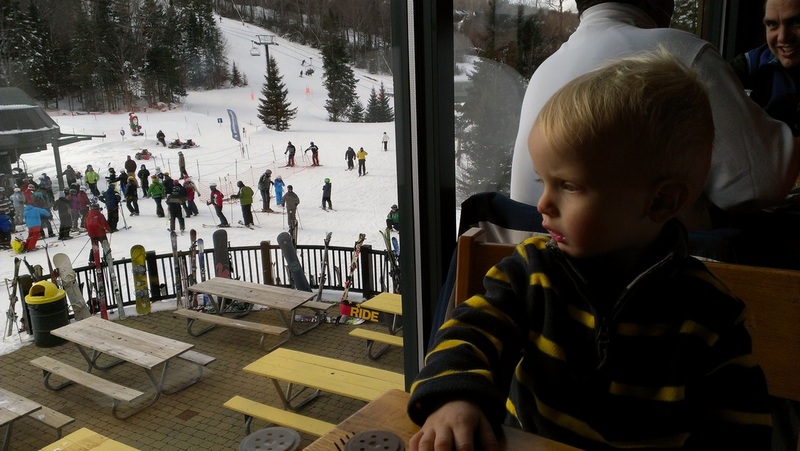 For the children there are ski lessons and kids camp (offered both during the day and dinner hours), as well as scavenger hunts, planned art activities, and a family friendly movie every evening. 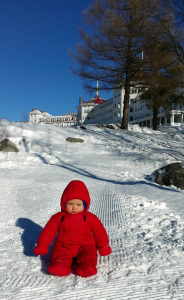 There is even a nursery at Bretton Woods and babysitting is available. There is a small arcade room as well which I am grateful only costs $.50 a game. The movie and arcade are close to one of the dining areas so those with slightly older children can have a few minutes of peaceful eating as well! Dining options vary on the property and those going to the hotel should consider if the meal plan is a benefit to their bottom line. We are members of the Omni point club so we receive coffee, tea, and juice to or room every morning free of charge. You can sign up for an introductory level of this even before your first benefit. We tend not to participate in the meal plan, but I think as the children get bigger it may be the better choice. If you are there – one strong recommendation is to go to breakfast at Bretton Arms, the B&B on the property (also run by Omni). It’s a fantastic offering and, I think, nicer than the buffet available in the main dining room. There are quick bits also available on the lower level in Morsels (sweet shop). Full dinning runs the spectrum from multi-course at the Arms or main-dining, and Stickney, to tapas in the Rosebrook and family friendly pub fare at Fabian’s. Additionally, there are seasonal food options attached to the downhill, cross country, and golf areas. I didn't even get to Santa's Village and Storyland - both a quick drive and perfect day outings for younger children. I am thrilled to have a place to go with my family where we can enjoy each other’s company, build great memories and keep us entertained for years to come. And if none of this sounds enticing enough – just wait until you visit the spa. 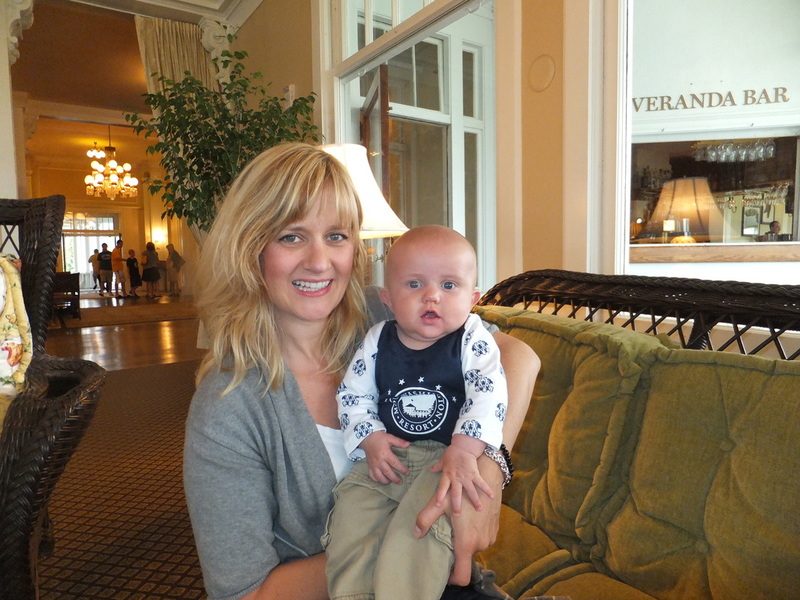 Relaxation and mommy care at its best, but I swear that’s not the only reason I love the place, really it’s not…..